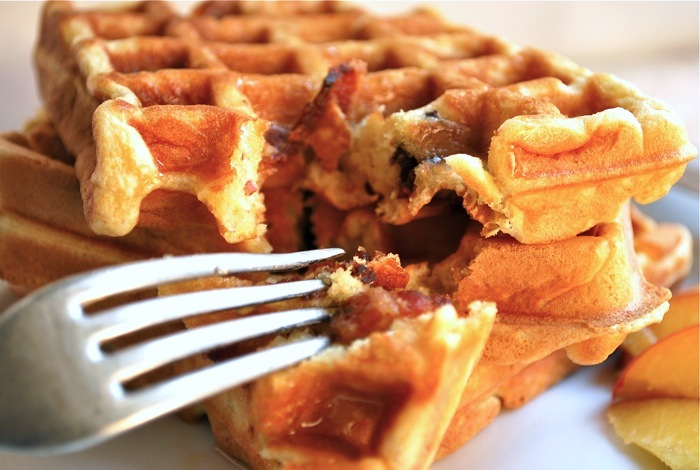 Gobbledygeek episode 125, “The Bacon Waffle Betrayal,” is available for listening or download right here, and on iTunes here. It’s been a long, grueling month, but Paul and AJ have finally awoken from their slumber. Which, as it turns out, was not so slumber-y; there was much to survive, from bouts of the plague to the holidays to all this Superior Spider-Man nonsense. And if that’s not enough for you, the boys close things out by discussing truth and perception of same in the media. Ooh, intellectual! But fear not: the phrase “bacon waffle” is in the title. Next: the boys are joined stuntwoman Clodagh Power. This entry was posted in Shameless Self-Promotion and tagged bacon waffle, bacon waffles, breakfast, breakfast foods, comic books, comics, glenn beck, gobbledygeek, graphic novels, holidays, libsyn, literature, manti te'o, podcast, rachel maddow, sci-fi, science fiction, spider-man, superhero, superheroes, superior spider-man, truth, waffles. Bookmark the permalink.